What's Missing in Your Jewish Life? You ask a deep question that emerges from what I take to be the spiritual dilemma in which you find yourself. To respond to you adequately, I would need to know much more about the nature and quality of what you described as a meaningful and moving spiritual experience you underwent inside Episcopalian services as you sat next to your girlfriend. But I can say this much. 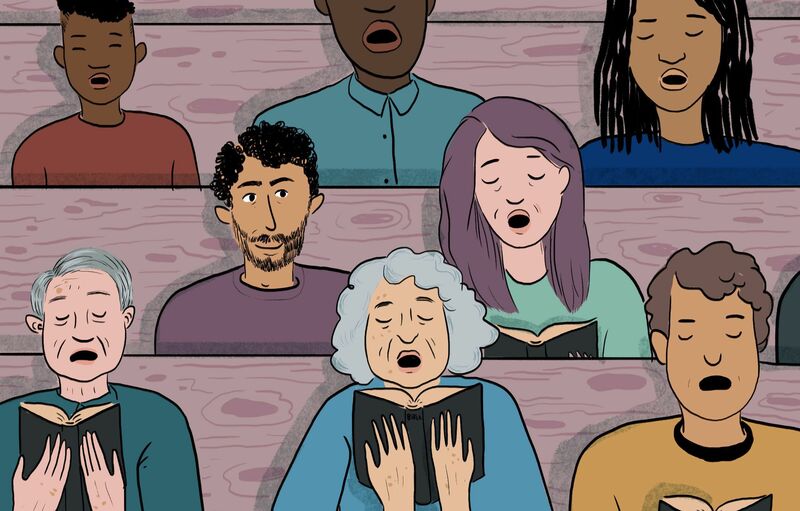 The pageantry of Episcopalian worship and the language of the Episcopalian Book of Common Prayer are powerful and attractive; were I not committed to speaking to God in Hebrew, I’d consider joining that church. For Christianity, in its various forms, offers to lift the individual out of exile into the home of an already achieved redemption, in this case a home grounded in the local mother tongue. As a Jew, however, I continue to dream of a redemption yet to happen, and as I imagine my way to a God whose place is not the world but who is rather, “the Place (HaMakom) of the world,” I find Hebrew indispensable and am grateful that I can speak, dream and pray inside it. I infer that you are spiritually hungry and that your retreat from observance of halacha is connected to a sense of unfulfilled longing. I’d like to call to your attention a book written by an observant modern Orthodox Jewish philosopher, Michael Wyschogrod, who in “The Body of Faith: Judaism as Corporal Election,” lays out the challenges he thinks Orthodox Judaism must face today. I wonder whether any of his insights might be useful to you as you struggle to understand what it is, besides your girlfriend, that seems to draw you to Episcopalian worship. Now I realize you are not asking how you might contribute to the renewal of an authentic, dynamic modern Orthodoxy but are rather asking how much you can let yourself love another religion without betraying yourself or your faith. But your real question, I think, is not about how you ought to feel and act in Episcopal services but rather what it is you are missing in your still meaningful Jewish spiritual life. James Ponet is the Howard M. Holtzmann Jewish Chaplain at Yale where he also is a visiting lecturer at the Law School. Fortunately he has been married over 40 years to Elana Ponet with whom he has 4 children and 5 grandchildren.